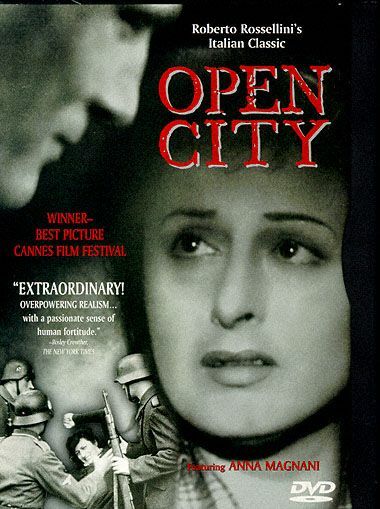 Plot ROME, OPEN CITY is a landmark in film history. Filmed in secrecy during the Nazi occupation of Italy, the film shows a realistic portrayal of the underground resistance in Italy in 1945. The film has strong impacting imagery with its mix of fiction and reality that strengthened Italian Neo-realism and the film industry.